Bowtieguy - I agree, 4118 is a very nice shot. For 4124, a bit too much going on for me after viewing it . For the photos I will be taking this week, I actually removed some of the spheres and mirrors on the sides to get rid of some of the clutter and some relections. One really cool thing is when I post a new batch of photos, the ones I am most proud of are not the ones that are peoples favorites. And on the other hand, ones that are so-so to me are are the ones that many people like the best. 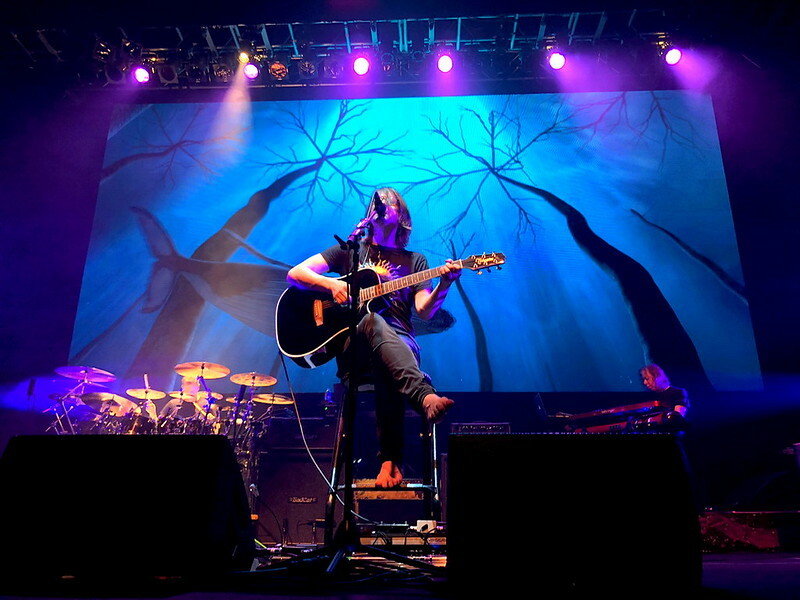 Lewdude - Tonight is the second night I will be seeing Steven Wilson. The other night I was front row center in Philly and tonight 2nd row a few seats off dead center. He also has the sound system in quad. His main contribution for 5.1 sound is that he has remixed into 5.1 so many classic Prog Rock albums (besides all of his stuff) from King Crimson, Jethro Tull, Marillion, the list goes on.He has been doing this now for over 10 years. My favorite Porcupine Tree cd / DVD in 5.1 are "Fear of a Blank Planet" and "The Incident". Only bad thing about him is he does not want photography at his shows, I did sneak in a few shots with my iphone (couldn't resist). Here is one of them.